Realtor.com®’s annual Hottest Zip Codes in America ranking reads like a tale of three states: California, Colorado and Michigan. California, Colorado and Michigan nabbed six spots in the top 10 (another zip in California, 95758, stopped just shy at No. 11), thanks to three traits: affordability, good-paying jobs and millennials. Of California’s zip codes in the top 10, the median home price ranges from $536,394 (Mira Mesa/San Diego) to $728,267 (Castro Valley); of Colorado’s zip codes in the top 10, the median home price ranges from $273,222 (Colorado Springs) to $533,873 (Littleton); and of Michigan’s zip codes in the top 10, the median home price ranges from $118,833 (Kentwood) to $223,780 (Livonia). Generally, homes in the top 10 are more affordable than counterparts in their county or metropolitan area, and the markets themselves have higher incomes, low unemployment and more millennials. “While low inventory is a challenge, millennials are the largest generation in U.S. history and they are flexing their muscle when it comes to the housing market,” says Danielle Hale, chief economist for realtor.com. 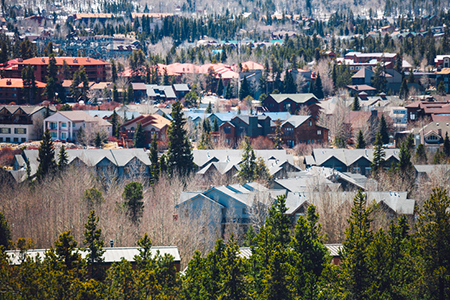 “Increasingly, the hottest housing markets are the ones that appeal to millennial preferences, and right now the standouts are relatively affordable suburbs with local ‘it’ factors such as hiking trails, great restaurants and nightlife. “With the largest cohort of millennials turning 30 in 2020, we can expect these types of areas to stay in demand in the years to come,” Hale says. Homes in the top 10 sell in an average 21 days, the ranking reveals, and listings located in the top 10 are viewed four times more on realtor.com than those in the rest of the U.S.